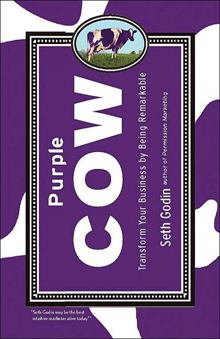 The concept behind Purple Cow came from author Seth Godin’s family trip to France many years ago. For the first twenty minutes of their drive through the countryside, the whole family were struck by the beauty of the landscape and the magnificence of the countless brown and white cows that dotted the countryside. Within twenty minutes, however, the cows became part of the background, never worth mentioning again. Even the “best” brown cow they may have seen later in the trip was not worth mentioning. BUT. As Godin suggests, had they suddenly driven by a purple cow… that would have been worth talking about. We’ve all experienced it, I’m sure – something new captures our attention and is so unique, so remarkable that we can’t help but focus on it, can’t help but talk about it. Purple Cow is about re-creating that “this-is-worth-mentioning” feeling with our products, services or company. It’s about creating something truly noteworthy, something that makes people sit up and listen… and then automatically share what they’ve discovered with their friends. "…this is not a discussion about quality at all." In his book, Good to Great, Jim Collins talks about “Good” being the killer of “Great”; how settling for C’s (acceptable results) means you never strive for A’s (exceptional results). While a totally valid observation, this is not that conversation. Godin’s point is that remarkable has nothing to with quality. It has to do with being unique enough that you warrant discussion. Being remarkable is not about being incrementally better because people, for the most part, are satisfied with what they’ve got. They’re inundated with information all day and, frankly, tiny improvements aren’t worth their time. So, this book is not about being better than the competition. A purple cow is no better or worse than a brown cow, it’s simply different. And therefore worthy of mention. 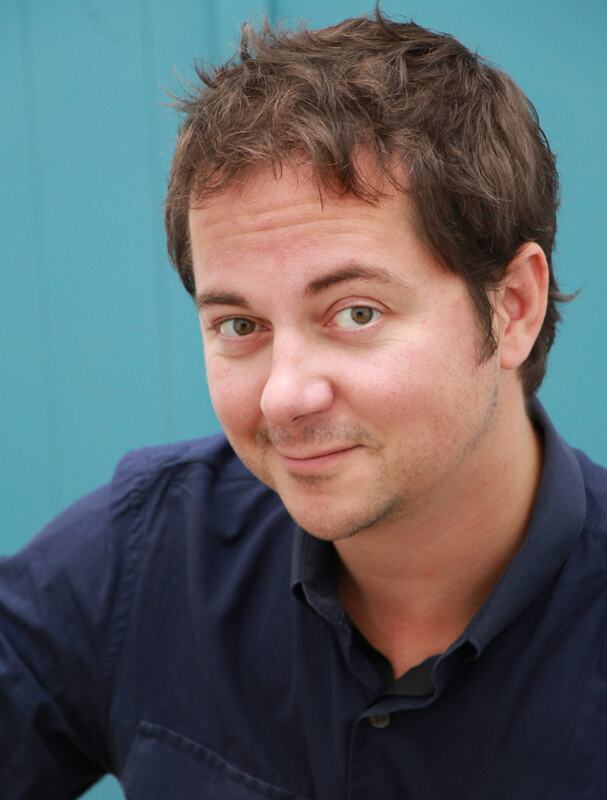 Worthy of trial from those early adopters out there who see a specific need for your offering. The iPod wasn’t better technology than the existing MP3 players but it was different; different enough to get people to sit up and take notice. Purple Cow is about being wildly different in a way that perfectly appeals to a unique section of the population. 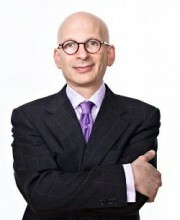 "If you’re remarkable, it’s likely that some people won’t like you. … That’s part of the definition of remarkable. Nobody gets unanimous praise – ever." You don’t need to go out of your way to deliberately offend people, but you do need to push the limits of “acceptable”. You need to be ok with some people just “not getting” what you’re doing, if you want to really appeal to another group. Challenge convention and go for something new. "Almost everything you don’t do has no good reason for it. Almost everything you don’t do is a result of fear or inertia or a historical lack of someone asking, ‘Why not?’"
What are you doing today simply because that’s the way it’s always been done? Shake things up – try something new. While Purple Cow is about being remarkable, the important reminder is that it’s not about being weird. It’s not about being different for difference sake, or as some type of marketing gimmick. It’s about being remarkably _________ (faster, slower, hotter, colder, nicer, meaner, bigger, smaller, etc., etc.) and as a result, being irresistible to a tiny segment of the population; a tiny segment that, if educated properly, will then share your message with the world. People don’t care what you have to say. They care what their friends have to say. Give them something to talk about.